There is no denying it, the pristine turquoise waters of the Maldives captures everyone’s attention. But for many, it is all about what is found in the waters in the Maldives that have them swimming. With healthy coral and a serious abundance of marine life such as manta rays, eagle rays and a variety of sharks that includes whale sharks, scuba divers are flocking to feast their eyes on the underwater playground that some are very lucky to call home. 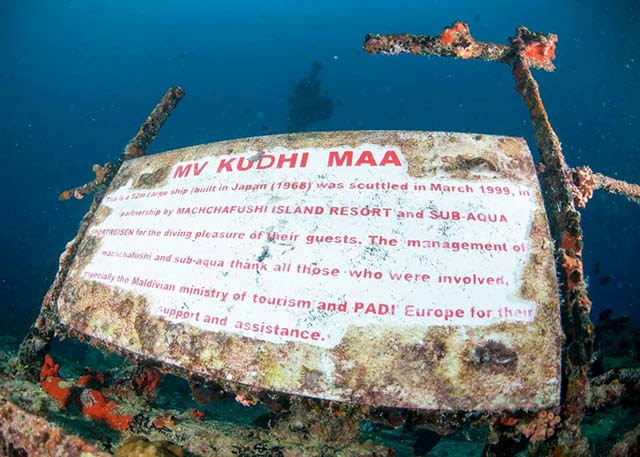 Centara Hotels & Resorts is very familiar with what is happening underwater in the Maldives with two properties from shipwrecks to underwater weddings. Our enthusiastic team from Centara Maldives – Centara Grand Island Resort & Spa and Centara Ras Fushi Resort & Spa – have shared some wonderful tips and experiences to further entice you to come and dive with us. “The sun plays a huge role in how vibrant the colours of the coral and the fish are. The sun rays illuminate the waters highlighting all the action, creating a perfect environment for photographers and divers” shares Nicha Duanglaithong, Centara Maldives Sales Coordinator, who has spent a great deal of time in the water. Our Dive Centre (Best Dive) Operation Manager, Mark Stevens, from Centara Grand Island has some great tips to share. We asked Mark a few questions. “We understand how important and precious this underwater ecosystem is and we want to ensure that it continues to thrive,” comments Mark Stevens. In order to best facilitate the diving experience for you while protecting marine life and the ecosystem, our instructors, through Best Dives Maldives, provide a clear briefing on responsible diving practices that reminds snorkelers and divers to respect their underwater surroundings. While mantas, whale sharks, turtles, reef and hammerhead sharks can be found in the Maldives all year round, there are no guarantees about what will be seen on any given dive. Diver encounters are dependent on a variety of environmental factors, however, our team of experts have creating experiences to heighten your chances of the dive of a lifetime. Enjoying the invigorating diving that the Maldives has to offer has never been more accessible with the new additions to our All-Inclusive packages at both properties. 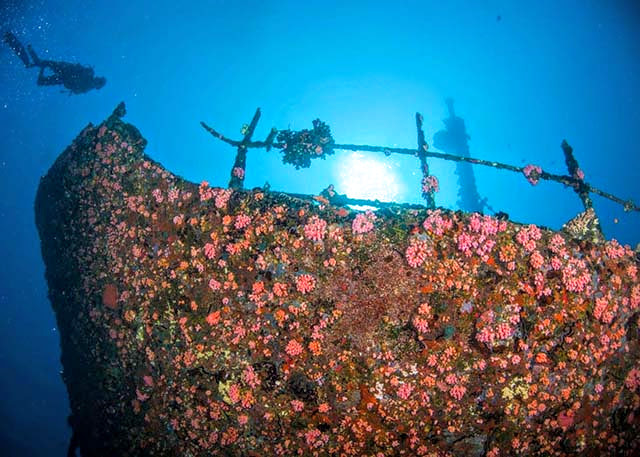 Diving is now an everyday option with these amazing packages and allows you to explore all the depths of the waters. There are a variety of courses available for you and your family while staying with us. “We always advise beginner divers to start off with our Discover Scuba Diving programme which provides the basic knowledge and training that they need,” added our dive expert from Best Dives at Centara Ras Fushi, Ibrahim Shaan. “This is followed by gently introducing beginners into shallow water. After this programme, divers are confident and comfortable to start exploring.” Before you leave, you may have developed a new skill and a new love for the ocean. Sounds pretty great to us! See you soon in the Maldives.